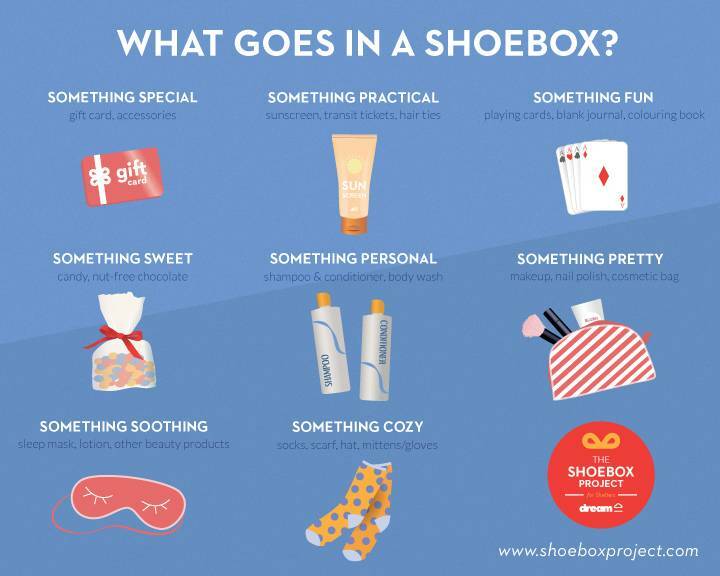 The Shoe Box Project is an amazing charity that collects and distributes gifts in the form of shoeboxes to women in shelters. Each shoebox is filled with items valued at $50 that a woman would enjoy but would not splurge on for herself in difficult times. These shoeboxes brighten the holiday season and let the women know they are special and not forgotten. 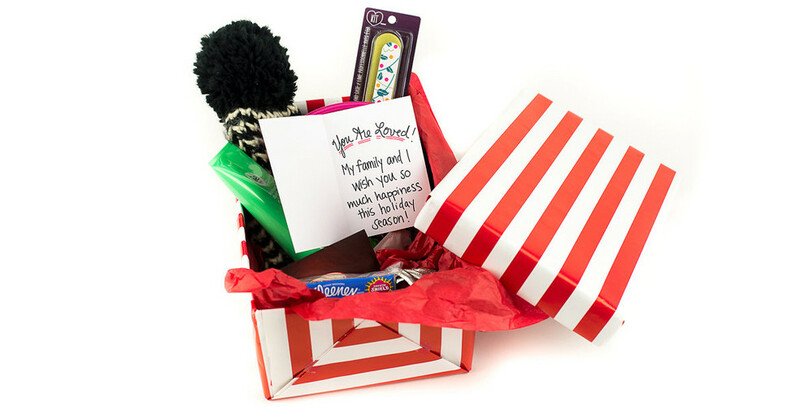 Each box contains different female-friendly items such as beauty and personal hygiene products, specialty teas, mitts, socks, perfume, chocolate and gift cards. *You can write a little inspirational note inside for a personal touch. Founded in 2011 by four sisters-in-law: Caroline Mulroney Lapham and Jessica, Vanessa and Katy Mulroney, the charity initiative now runs in many cities across Canada and the US, including Montreal, Calgary, Vancouver and Halifax. If you would like to donate one or two items only then we will combine all smaller donations into boxes worth approximately $50 and wrap them ourselves. We are not asking for an entire box to be donated by you directly. The choice is up to you. We have lots of boxes here just waiting to be filled. Anyone donating a complete box worth approximately $50 will receive 15% off your next purchase in the Boutique. *If you are from out of town, we can always make up a shoebox for you! Shelters in our community that are included: YWCA, Gillian's Place, The RAFT, Community Care and Abbey's House. Please feel free to contact us at anytime should you have any questions.